In this, the exciting sequel to ""Delfinos Journey"", Delfinos sister Teresa attempts to defy the odds and reunite with her brother and cousin. 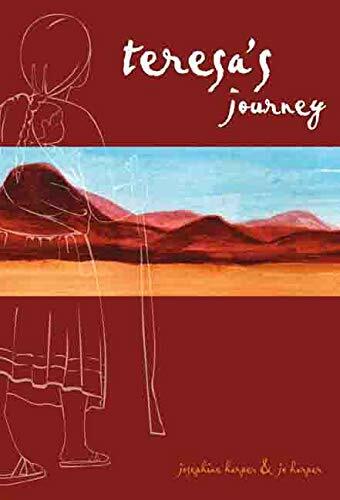 Already widowed at age nineteen, Teresa knows that the only way she will be able to provide a good life for her infant son Antonio is by making the long trek to Texas from her home in Mexico. The grueling journey is filled with adventure and danger. Forced to flee an erupting volcano, Teresa encounters an old granicera a prophetess who warns her of a terrible fate awaiting her in Texas. In spite of her fear, Teresa becomes more determined than ever to reach Texas when she witnesses a murder committed by the Delgado Cruz, a dreaded group of organized criminals. Later, to save her baby, Teresa must call upon her Aztec heritage to unravel the meaning of the graniceras advice: Follow the caged quetzal.